The Law Department of the City of Rocky River, under the direction of the City’s Law Director, functions as the attorneys for the City of Rocky River and its officials by providing legal advice to the Mayor, City Council and all of the various departments. The Law Department reviews legislation, contracts and all legal documents to ensure all business of the City is conducted in a proper and legal manner, and represents the City in all proceedings before any court of law or administrative body. While criminal/traffic cases are initiated by the Police Department, the Prosecutor pursues prosecution on behalf of the City of Rocky River. 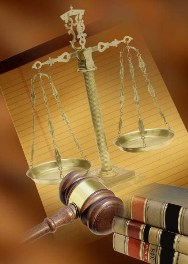 The Prosecutor also provides legal opinions, advice and support to the Police Department. In addition, the Law Department performs those duties defined and required by the City Charter as well as those specified by the Ohio Revised Code. The City Prosecutor is responsible for the prosecution of misdemeanor crimes and traffic violations that occur within the borders of the City of Rocky River. The most common types of crimes and traffic violations that confront the City Prosecutor are Driving Under the Influence (DUI), Driving Under a Suspended License (DUS), Domestic Violence, Theft, and Moving Traffic violations. The docket for the City Prosecutor can be found at the Rocky River Municipal Court at http://rrcourt.net/. The Rocky River criminal docket is usually set on Tuesday and Thursday mornings, with jury trials scheduled on Wednesdays. Serious attention and compassion will be given to all victims of crimes. All victims of crimes are given the Law Department’s phone number and the City Prosecutor’s personal cell number. Crimes of violence or opportunist crimes (i.e. crimes against especially vulnerable citizens of Rocky River), will receive the most vigorous and unbending prosecution. The City Prosecutor practices simple “open discovery”. Lawyers for those accused of traffic offenses and crimes may send a simple one page discovery letter to the fax number of the Law Department. Those sending such requests will be faxed a copy of the incident police report and other supporting documents that can be used as an aid to either resolving the case or preparing for trial. All persons who are charged with a DUI, DUS or serious misdemeanor crime are strongly encouraged to retain the assistance of a lawyer who is experienced with municipal criminal/traffic law and procedures. The Ohio Department of Health is charged with the responsibility of enforcement, but they have not, as yet, promulgated rules and regulations. The following information applies to the effectiveness and enforcement of this new law. The law affects all proprietors of public places, including restaurants and taverns, as well as any employer who is not strictly family-owned and operated by family employees, and whose workplace welcomes or invites the public. These public employers/establishments are obligated to post “No Smoking” signs at each entrance, which signs must contain the phone number of the State Department of Health for reporting violations (1-866-559-6446). The international symbol for no smoking which features a cigarette inside a circle with a bar through it must be in color with a red bar. A traditional text-only sign can be in black and white. All ashtrays or other smoking receptacles must be removed from such public employers/establishments. The Department of Health expects all public employers/establishments to self-regulate this law prior to any specific rules and regulations being promulgated. Enforcement will occur through the Department of Health and its designees. A warning letter shall be issued to a proprietor of a public employer/establishment, or to an individual who has violated this law, upon the receipt of a first violation. Subsequent violations will result in a fine of not less than $100, which may escalate to a maximum of $2,500 for repeated violations by a proprietor within a two year period. Fine for individuals shall be a maximum of $100. Exemptions to this law are provided for private homes (except where childcare is provided), outdoor patios, retail tobacco stores, resident only smoking rooms in nursing homes, narrowly defined private clubs, and 20% of sleeping rooms in a hotel. Ohio is the sixteenth state in the nation to adopt a public place smoke free environment. The entire text of the law can be found in Ohio Revised Code Chapter 3794.